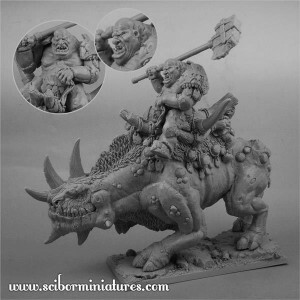 Scibor gives us another pretty big model with their new Ogre War Rhino Rider. Model is made of high quality resin and provided with 100mm x 45mm square scenic base. It is unpainted and requires assembling.